4-Ethylmethcathinone (4-EMC) is a recreational designer drug of the stimulant and entactogen class. It is a structural isomer of 4-MEC. The molecular formula for 4-Ethylmethcathinone is C12H17N0 HCI with a formula mass of 227.7. 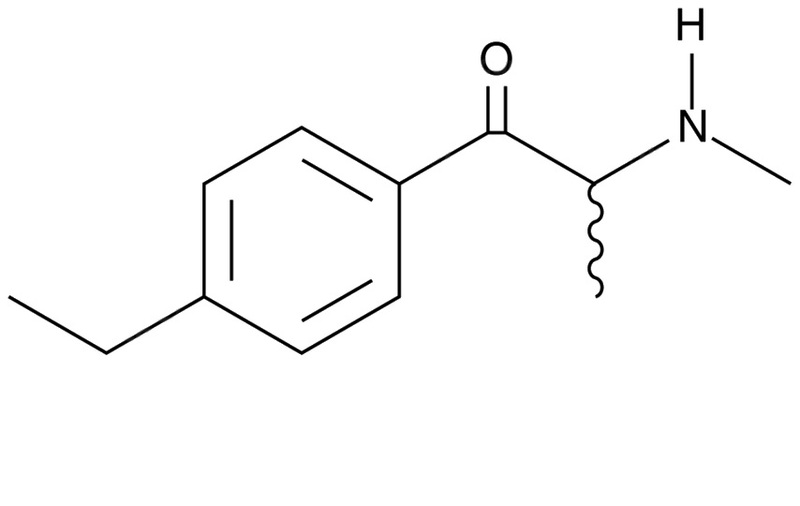 Research on this compound was conducted by ACD/Labs’ and ChemAxon. Properties that were predicted by ACD/Labs showed 2 #H bond acceptors, 1 #H bond donor, 4 #Freely rotating bonds, index of refraction at 1.510 with a surface tension of 34.2±3.0 dyne/cm, a flash point of 116.2±26.1 °C and a boiling point of 305.1±35.0 °C at 760 mmHg. 4-Ethylmethcathinone is a controlled substance in the US state of Vermont as of January 2016. It is also covered by analogue provisions in many other jurisdictions. Copyright © 2019 Trustworthy Chemicals.